Among the writers who work with the 99-word flash fiction format at Carrot Ranch are those who collaborate as a group to further this literary form. 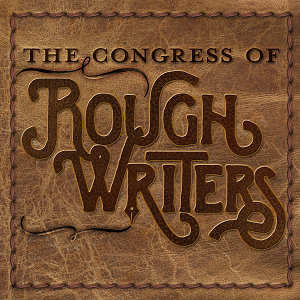 These writers are the The Congress of Rough Writers willing to craft anthologies, lead community workshops, and host world-wide writing contests. Join in each week with Carrot Ranch’s Flash Fiction Challenge and ride with the Rough Writers as a Friend. You can write with us or read our latest feats of brevity. The following writers form the core of Carrot Ranch’s literary community and mount words on the page the way Buffalo Bill Cody’s riders once mounted horses in daring feats and fearless equitation. If you like their flash fiction, look for their blogs, articles, and books. 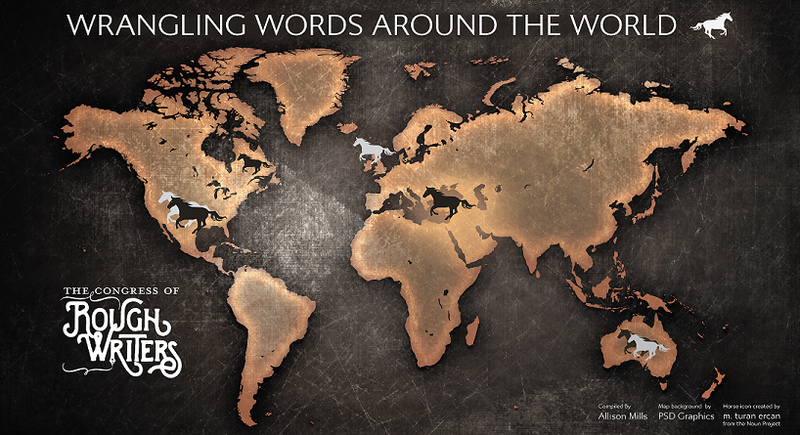 And marvel at the global reach of 99 words. Gorgeous! Love the new look here. That “leather” patch is fantastic. And the map… Love it! Thanks, Sarah! I love the leather and the copper map, too! It has a steampunk feel to it and I like the running horses. I liked the horses. A great touch. I don’t expect you to do it but I can see a horse for each Rough writer placed where they come from – still running. That was the original idea, but a complicated project for my cartographer who finished her masters, moved, got sick and got hired! We simplified it…for now. Always room to grow! That would be useful to know. I don’t think I’m up to coding it right now, and turns out I prefer the alternative. It looks great, Charli! Thanks for wrangling together this community! Thanks for being a part! Still wrangling bio pages, but at least now I know what I’m doing! Some days I feel as though I rode out of the barn sitting on my horse backwards (technology does that to me). Thanks for letting me know! I had been archiving the weekly collections last year and had some life disruptions and lost my place with what I had been doing! Carrot Ranch is one of my favorites. I don’t know what this all means, but this is really beautiful. This is our regular crew of writers who collaborate on an annual anthology. We’re working on publishing Vol. 2, then we’ll add more Rough Writers and work on Vol. 3 next year. Gosh I love this. And I’m fixin’ to be back in the saddle very soon. School starts next week, the kid is doing well, and I’ll be on my own all day once again. It’s been a long haul for you and your family! It’ll feel good to get in the saddle again, Lisa! What an amazing and enjoyable read (reading the digital version). I started yesterday after entering the final 24 hour free-write prompt of ranch romance, and before I knew it I had galloped through all twelve chapters in Part One. Looking forward to reading more today. Great work Charli and Sascha and all the contributors! Thanks for reading, Kelvin! I think what we do here weekly translates into how powerful collaborative efforts can be, joining individual authors and works into thoughtful and thought-provoking collections.